May 30, 2017 May 31, 2017 Framingham Source Editor Susan Petroni 31 Views 0 Comments Beauty Parlr, Rachael Lynsey Rubin, RLR Studio Inc.
FRAMINGHAM – Framingham High graduate Rachael Lynsey Rubin opened Beauty PaRLR and RLR Studio three years ago in April of 2014. The Saxonville business started with just four employees. Today, there are “40 talented individuals,” working for Rubin. But Rubin’s business, that was conceived in New York City, will soon dwarf salons and photo studios in the Big Apple, and even the entire East Coast. Rubin announced today, May 30, she is expanding PARLR, and staying right here in Framingham. Click here to watch her video announcement. “PARLR, will be a Mecca that houses elite professionals, providing world-class service in the beauty, photo, film, and bridal industries,” said Rubin, who is expanding her business into an 11,000 square foot space in the same mill property. “My vision is to help our clients feel beautiful, internally through holistic practices, externally through beauty services, and also to capture all the above on film,” said Rubin, 26. “PARLR will not resemble anything you have ever seen before,” said the visionary entrepreneur. “Imagine this: an art museum, salon and photo studio had a baby. They joined forces with NYC, Miami, LA, Italy, and then sprinkled in some flowers, some beautiful furniture and the best quality products to ever exist. Add really passionate, talented, hardworking artists, and then they plopped themselves down right in the heart of the Saxonville mill building in Framingham, Massachusetts,my hometown. This is basically what is happening inside my brain with this company, I know I know, A little hard to imagine, but trust me, I can see it perfectly. PARLR will be an industrial chic, unique, unparalleled, piece of heaven that will be accessible to ALL types of people. I don’t want the decor and the concept to intimidate; I want PARLR to be a place of beautiful energy and vibes that will put so much happiness into this town and world,” said Rubin. Eight years ago, as a student at Hofstra University in New York, the concept of PARLR began. When she first opened in the Saxonville Mill building complex, she had just a 300 square foot studio, soon PARLR will be more than 35 times than size. “This expansion feels a little like destiny to me. It’s almost like I am the eye of a very powerful storm that is about to change many individuals lives,” said the Framingham High Class of 2008 graduate. “I want to expand because I see the beauty my business puts out into this town and into this world. People gravitate to my energy, to the energy of my business, and to my staff. I want to expand to give myself the ability to service more individuals, more brands, and more businesses,” said Rubin. The mission of her new brand? 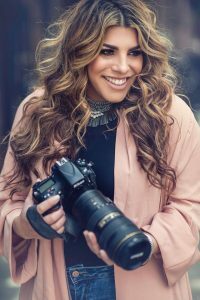 “To help individuals, businesses, and brands, find the perfect version of themselves through my company’s high quality services: beauty, photo, film & bridal,” said Rubin. Expansion, likely will also mean new services for PARLR. “This is still something I am still hammering out. 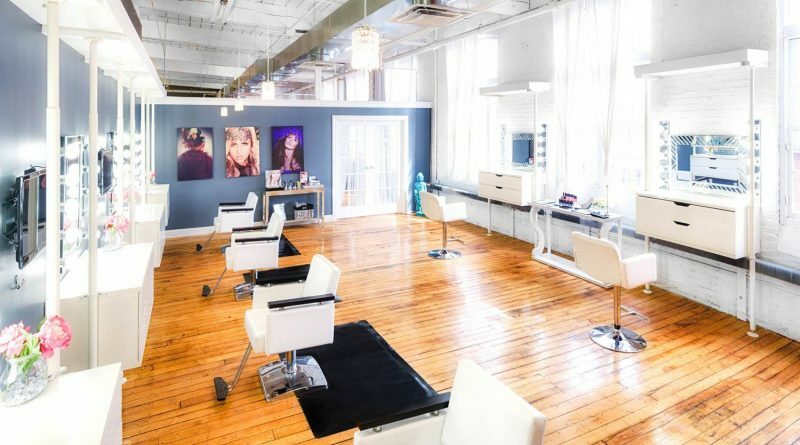 Right now, I know we will be doubling the salon in size and adding Beauty PaRLR Academy, which will teach incoming generations how to operate at our level and provide job opportunities inside my company,” said Rubin. “We will definitely be expanding the spa end of the company, and revving up the skincare world,” said Rubin. One addition will be manicures and pedicures, but other plans are still in the works or a secret. “As far as the photo end of the company, I plan to train and hire additional photographers,” said Rubin. “Additionally, my newest baby, and my newest love: film! Film has taken RLR by storm. We produce creative films for small-large local small businesses. I want to be able to help more brands and businesses with my expansion, this is something I am very passionate about,” said Rubin, who just hired a full-time videographer for her company. “As far as bridal goes, I want to hire many more makeup artists and hairstylists to take on more beauty prep weddings,” said Rubin. She and her staff have travelled across America and beyond its borders to help create the perfect wedding day for brides. It will take about a year to transform the 11,000 square foot space into Rubin’s vision. But when completed, ” I see us changing the industry and the mold of expectations,” said Rubin. “I expect us to be servicing so many individuals in this community, and making so many people feel and look beautiful,” she said. Last weekend was the Framingham High senior prom, and Rubin had to add extra chairs at her salon to accommodate the more than 50 teens, who had booked services. But Rubin wants to do more than just make teens beautiful on the outside, she wants to boost their self-esteem and confidence, too. After speaking at Walsh Middle School, during career day, this past spring, she realized she wants to help girls be the best they can be inside and out. With the new space, she plans to host events for teens to boost their vision of themselves. She also plans to “bring in business owners to do branding training.” She plans to offer classes, workshops, courses, and events that bring people together and spread beauty. She already has held skin care and make-up workshops, in her current space. She said she is very “excited for what the future holds, and for all of the help and support” she has received along the way to get to where she is now. The new PARLR, also means more jobs opportunities for others. “I want everyone to know that I am going to put my heart, my soul and all of my energy in my heart into this business. We are going to be filming weekly to take our followers through the building process of this beautiful empire,” said Rubin.